Involved in an accident in Sarasota? Don't panic and use common sense. If there are any injuries, of course call 911. We recommend you take action immediately after your accident. 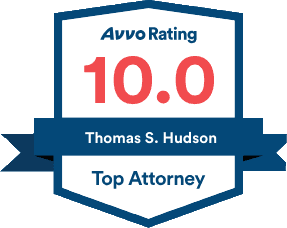 Sarasota's Hudson Law Office can be contacted directly at (941) 358-5400. We will discuss your case and obtain help in securing fair compensation for your injuries or a wrongful death. Remember, there are no fees until damages are recovered. Remember Who Your Friends Are. Take Pictures Of Your Body. Take Pictures Of Your Vehicle. Get Names, Addresses And Phone Numbers Of Everyone Who Saw The Accident Or Was Present In Your Vehicle. Write Out Your Own Narrative About The Accident, But Only Give It To Your Lawyer. Contact An Experienced Injury Lawyer Right Away. Click here to contact your Sarasota Accident Attorney or call our Sarasota Accident Attorney office at (941) 358-5400 for a free consultation. There are no fees or costs until the case is settled! We look forward to working for you!